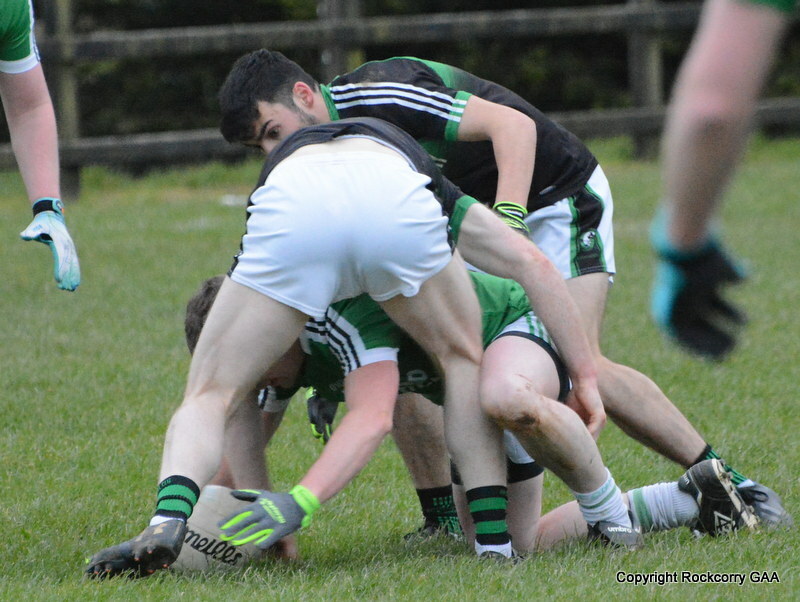 As the old saying goes “you can only stretch an elastic band so far before it breaks” and when our senior team played Emyvale on Wednesday 7th May in the Monaghan Electrical intermediate football league campaign our resources were stretched to their limits as injuries to key players, namely team captain Niall McKeown, centre half back Keith Daly and mid-fielders Keelan Clerkin and Eoin Fitzpatrick, left a huge hole in the team. As a result, we lost our way somewhat as we struggled to maintain our rhythm and were unable to match the pace, movement and intensity levels of our opponents and as fatigue set in Emyvale exploited our errors and cruised to a comfortable victory on a score-line Rockcorry 0-10 Emyvale 3-10. The number of injuries we have racked up since the start of the season is just staggering and the sad part is it just keeps growing and growing and growing. I’ve honestly never seen anything like this current stretch of injuries and quite frankly it’s mind-numbing that an entire panel of players can be wiped out. 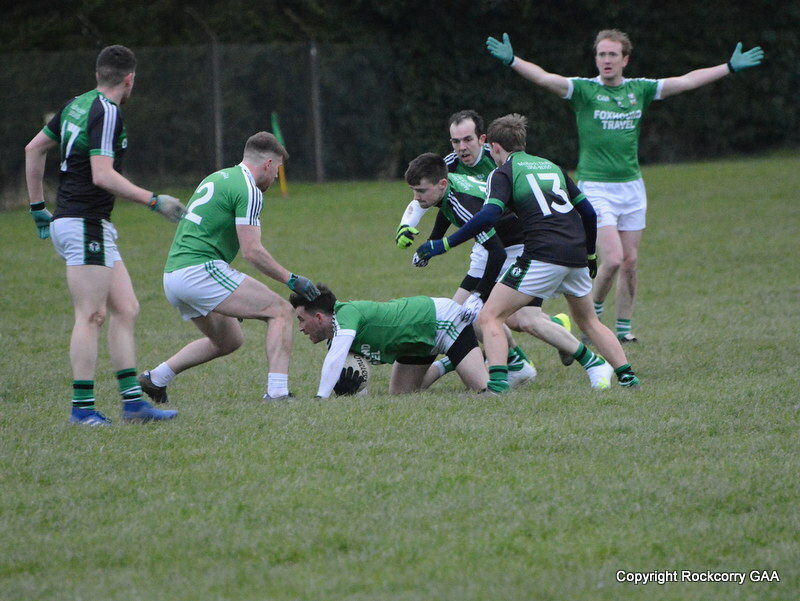 As a result, we found ourselves in the unfortunate and regrettable position that we could not field a team for last Sunday’s encounter against Clones in the Monaghan Electrical intermediate football league and had to concede the points. This was not easy decision to make and nobody likes to concede and throw away easy points but the numbers were examined, crunched, studied and analyzed and it was just simply not mathematically possible to gather up a team. The club extends their best wishes and a speedy recovery to our most recent injuries Niall McKeown, Keith Daly, Keelan Clerkin and Owen Fitzpatrick. We hope you make a quick recovery and look forward to seeing you back in the green jersey as soon as possible. 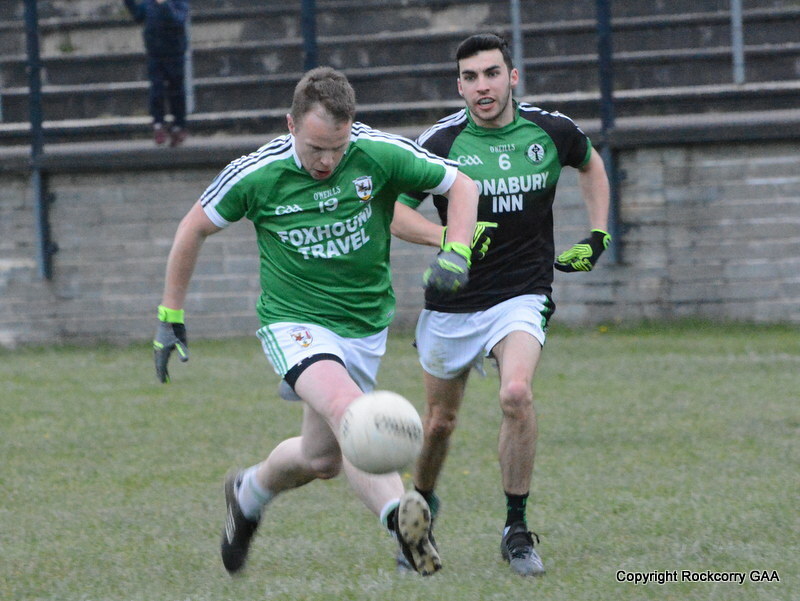 The preliminary round replay of the Reserve Football Championship between Carrickmacross and Rockcorry has been scheduled for Wednesday 14th May at 7.30pm in Carrickmacross. Extra time to be played in the event of a draw at normal time. Our under 12 footballers were out last Friday 9th May when they travelled to Smithborough to play Eire Og in the Gerry’s Prepared Veg Spring League. The boys and girls put on a fine display of football and team work which resulted in a very entertaining match and we enjoyed a five point advantage at the half-time interval. 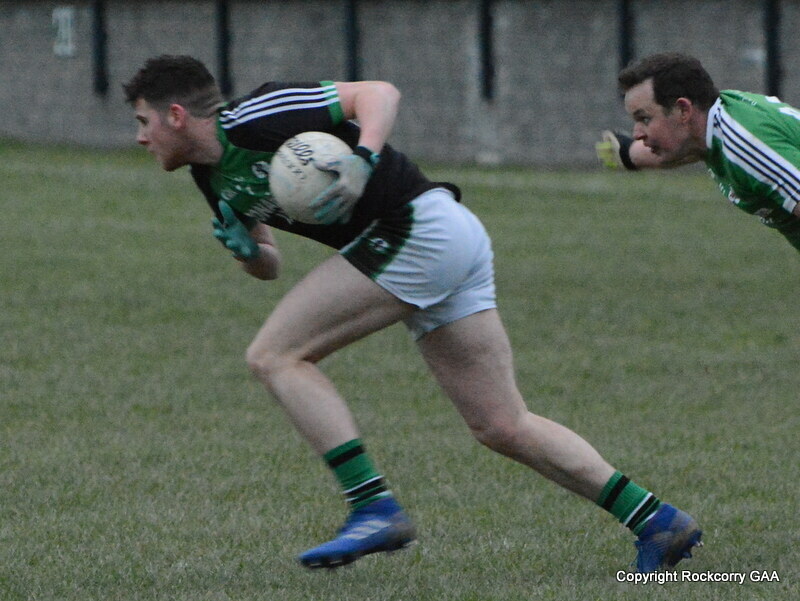 However, Eire Og fought back and produced a solid performance during the second half and finished the strongest team to secure the victory with a seven point margin on a score-line Eire Og 0-18 Rockcorry 0-11. The next outing for the under 14 footballers is on Saturday 17th May when they play Tyholland. The game is fixed for Pairc Naomh Mhuire and due to the Under 10 Go Games Blitz taking place the throw-in time is now 1.30pm. Ahhhhhhhhh, please accept my sincerest apologies because I got the date wrong in last week’s notes! I really hope nobody travelled to Oram last Thursday evening to watch the under 16 footballers because you wouldn’t off seen any action but if you did I hope you had a pleasant drive! 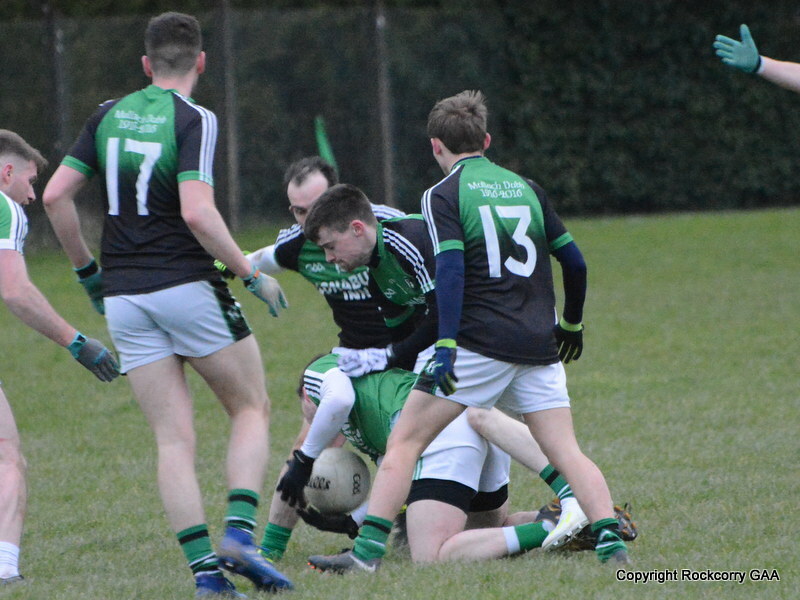 The under 16 team will be back in action this Thursday 15th May when they travel to Oram to play Emerald Sarsfields and the throw-in time is 7.30pm. The under 10 footballers will get another chance to showcase their skills when they take part in a Go Games blitz this Saturday 17th May and it will be held at Pairc Naomh Mhuire between 10am to 12 noon and other teams will be Drumhowan, Tyholland, Clones and Currin. The next blitz for the under 8 team will be on Saturday 24th May and it will also be held at Pairc Naomh Mhuire between 10am to 12 noon. The numbers drawn on Monday 12th May were 3, 15, 16 and 27. There was no jackpot winner of €8,100.00. The following won €15 each :- Tina & Leo, Rockcorry, Ann Beggey, Co. Meath, Deirdre Martin, Newbliss, Kevin & Breda Clerkin, Aghabog, Kieran Fitzpatrick, Rockcorry, Mae,Brogan & Brandon McDermott, Rockcorry, Mary & Dominic Monaghan, Rockcorry, Joe & Gerry, Rockcorry. Next week the jackpot will be €8,200.00 and the draw will take place in Thompson’s, Newbliss. Thank you for supporting our Top 4 lotto draw.